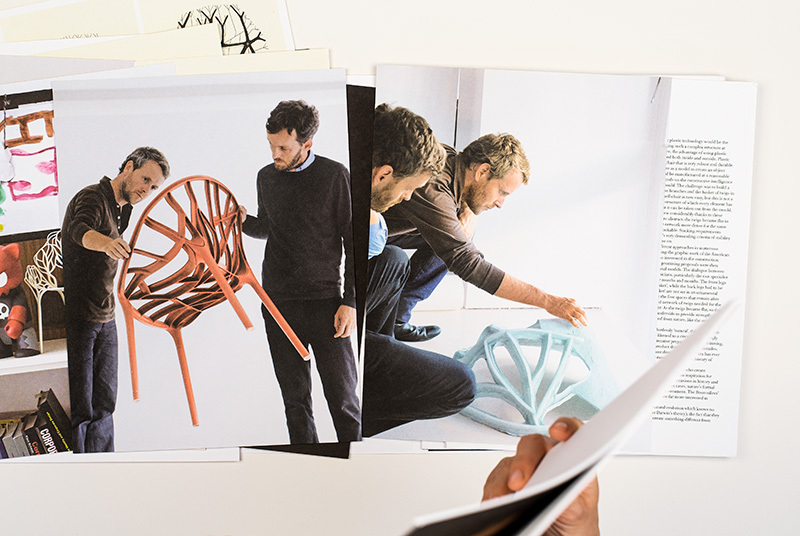 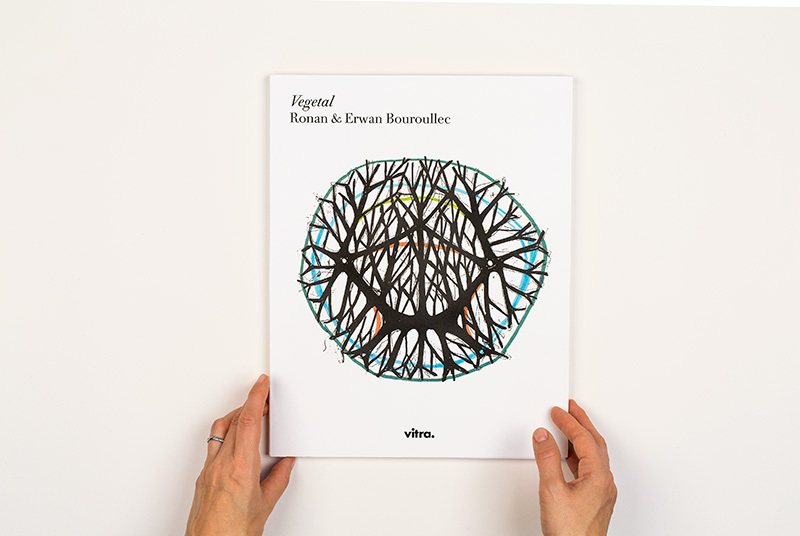 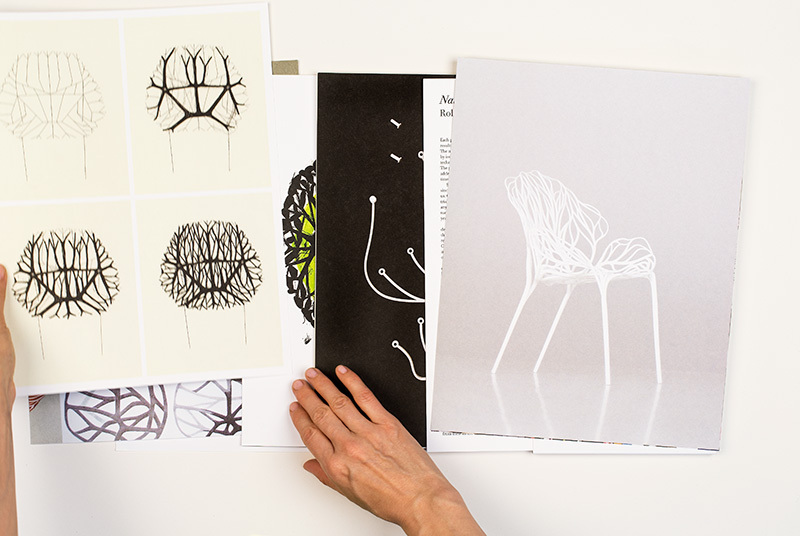 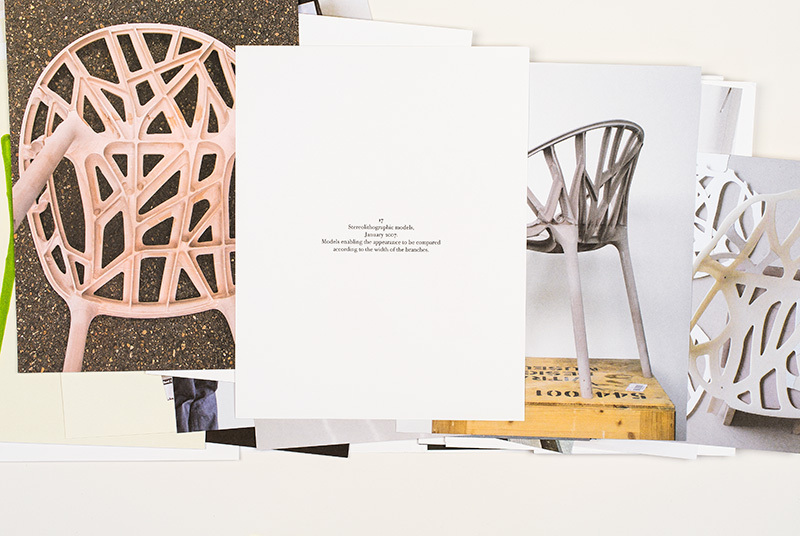 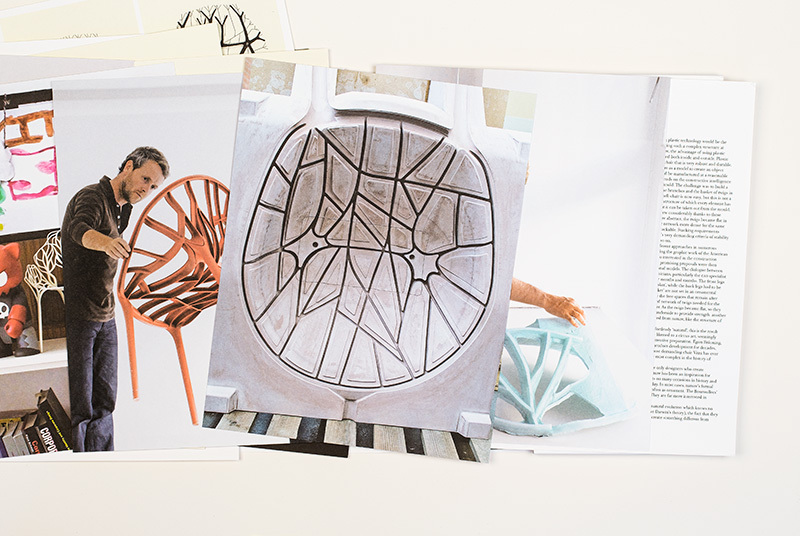 This publication accompanies the release of the Vegetal Chair designed by Ronan & Erwan Bouroullec. 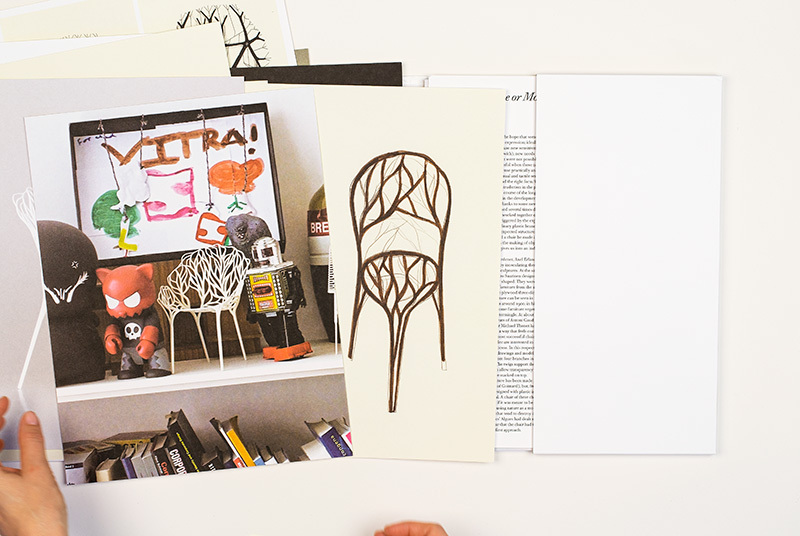 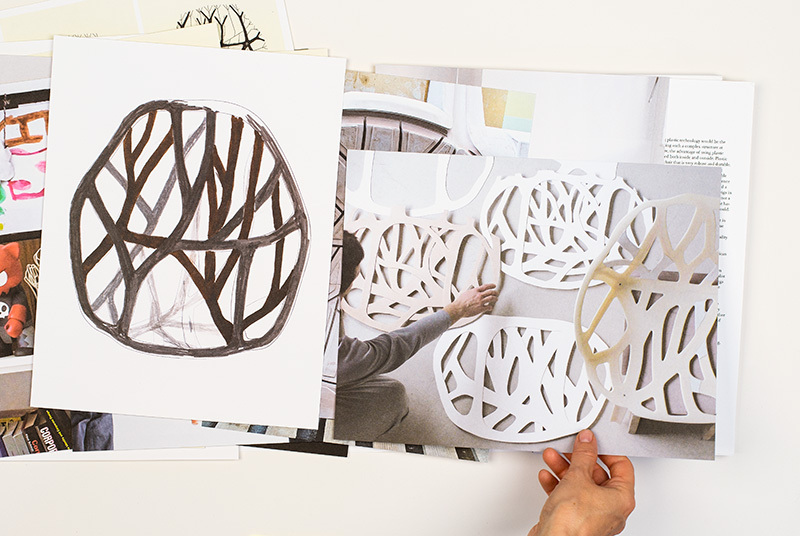 A series of single pages show the years long creative process. 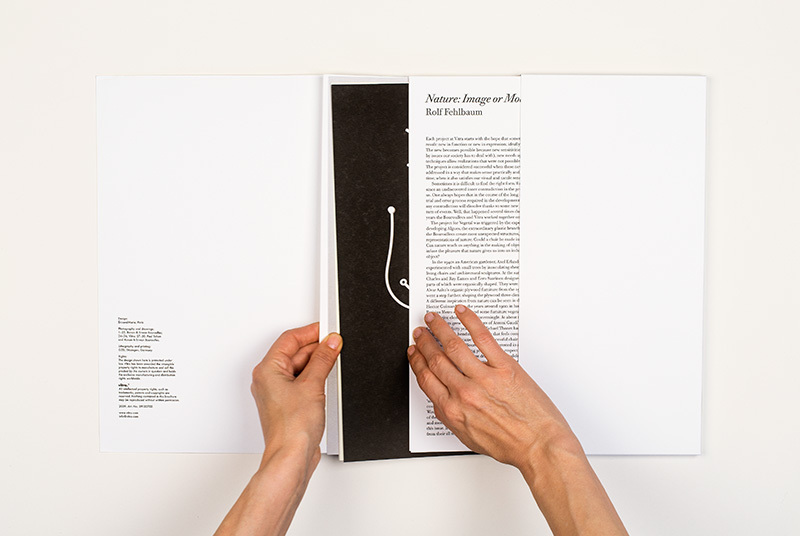 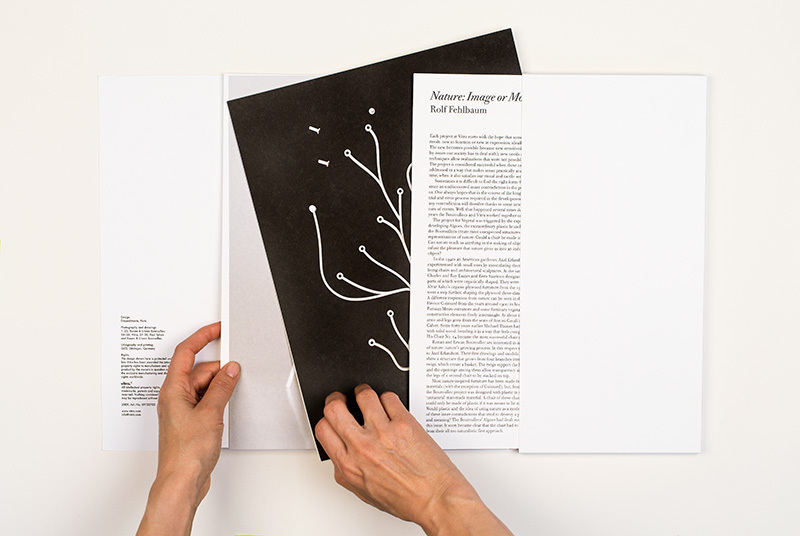 The format of those pages are reminiscent of large botanical single plates.